BUTTE — Anthony Bourdain came to Butte last month, and Butte showed him a good time. For Bourdain, it was another day in the 220 or so he spends on the job all over the world every year, bringing his quirky and often bleeped humor and a great no-B.S. take on food to an immense and frankly adoring audience. It was just one part of an episode of his hugely successful CNN show “Parts Unknown” that was shot in a week at locations sprinkled under the Big Sky — the Crow Reservation, Butte, Lewistown, Livingston. And a certain stream on a certain ranch where I suggested he might go. I didn’t share the location lightly — it’s literally my favorite place on earth — but I thought it would be fun to take him there. It was. Sort of. 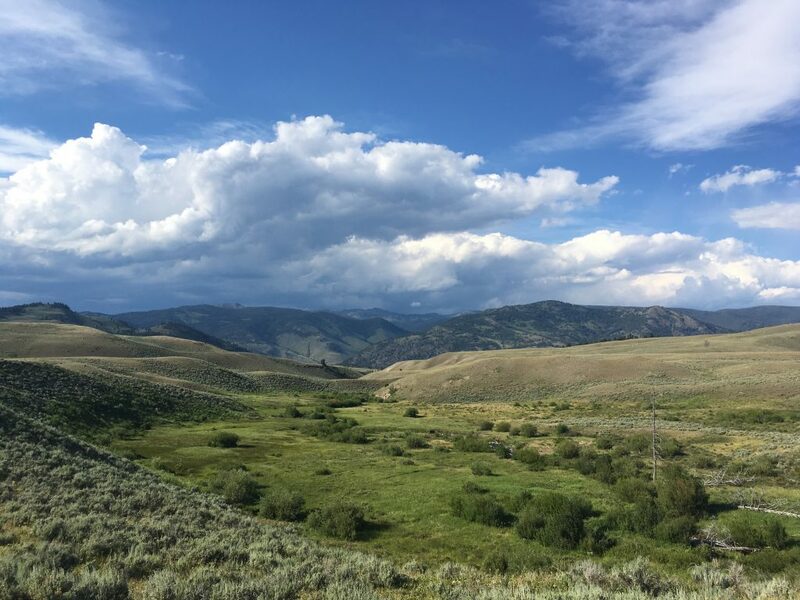 Birch Creek Ranch is somewhere north of 100,000 acres of central Montana — part of it in the Big Belts west of White Sulphur Springs, part of it in the Little Belts east of Cascade. I worked a year there as a hand for rancher Bill Galt in order to write a book which ended up being “The Cowboy Way: Seasons of a Montana Ranch” (Avon Books, 1999). From calving heifers and feeding yearlings and rescuing calves from creeks in 20-below weather to fencing, dragging calves to the branding pot, irrigating, haying, doctoring, earning the sarcastic accolade “Mr. Goodwrench” for my scant mechanic skills, cooking for the crew to better reviews, mucking out barns, fighting fire, fighting knapweed and spurge, chasing horses, gathering, weaning, shipping, and preg-testing (up to my shoulder, as only someone who’s done it can understand) — yeah, I’d say I worked a little bit that year. I also grew things: A profound respect for the land, an understanding of the responsibility that goes with having animals and grass in your care, and an enduring friendship with Galt, a gruff, driven, hardworking and essentially competent man who manages to commit frequent acts of kindness and even laughs at himself from time to time. During more than a decade of living away from Montana, I came back almost every year to hike and fish Rock Creek on the ranch and to regain sanity and perspective. The ranch is the place where I learned about truly hard work, the place that tested me beyond any expectation while filling my soul with its beauty, and the place that nurtured and restored me when the cities ground me down. I didn’t expect Bourdain and his crew to understand any of that — but I knew that they would love the trout-filled creek that twists through a canyon lined with cliffs where ancient cave-dwellers lived. Galt is a top-notch helicopter pilot. I can say that without attribution because the evidence is clear: With all the things he’s done in his Bell Jet Rangers, he would not still be with us if he were not a top-notch pilot. He fights fire; rescues crash victims; eyeballs moose, elk and deer; herds cattle; and keeps a watch on everything from fences to bears to strays to poachers and trespassers, all from the pilot’s seat. 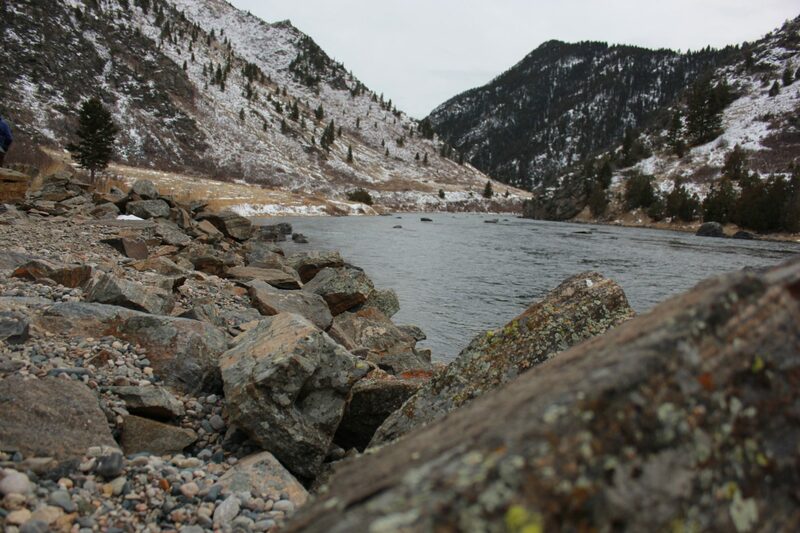 Last week, he ferried on-air talent to the best small stream in Montana. When blue skies prevailed, he brought Bourdain to the banks of Rock Creek. By this time, Bourdain had driven my old three-door Chevy Suburban (driven the @#*@ out of it, to be accurate) for an opening scene, and we’d had a little chance to talk. He does, because he is the show’s raison d’etre, and it was easy to see why. He is cook, essayist, novelist, critic — and stand-up comic all in one. He is mercilessly funny. He’s silent a lot of the time, but when he says something, it is inevitably cutting, pointed, often profane, and always amusing. What he is not, particularly, is a fisherman. And even the best fisherman might have trouble on a tiny stream in late October, when a phalanx of cameramen is slogging through streamside brush to get into position, sending fish zipping in panic from the pools before a single fly touches down. But Lee Kinsey of Secluded Water, an elite outfitter, lights-out fisherman and patient guide, put him in the position to succeed — and before long Bourdain was wryly addressing a brown trout who was about to get released by a genuine celebrity. “I won’t eat you — today,” he said, and accepted a congratulatory fist-bump as Mr. Brown got his breath back and darted away. Yes, I buried the fact deep in this story that I was the only fisherman to be skunked this day. I’ve caught my share on Rock Creek, and I expect I’ll have another chance. But the fact remains I’ll probably look like a chump when the show airs next March. C’est la vie. Then, streamside, a spectacular lunch. Bourdain flashed his culinary skills as he perfectly crosshatched some of Bill Galt’s insanely marbled and tender Wagyu-Angus steaks with grill marks and pulled them off at the perfect moment. I grilled veggies laced with olive oil, salt, and the Ethiopian spice ras-el-Hanout (thanks to the Front Street Market, which produced it on demand as easily as a bottle of ketchup) and added cranberries, pistachios, cilantro, and a dollop of yogurt to finish them, as per a recent recipe by JeanMarie Brownson of the Chicago Tribune that we ran in The Standard. But producer Fallon wanted more than the sounds of us gorging — a substantive discussion over lunch — and Bourdain cannily engaged Galt and me in a discussion about Montana’s stream access law. So I argued with my best friend and went fishless on my favorite water. All for show biz. At least the steak was great. Bill couldn’t feel more strongly that the stream-access law amounts to a taking without compensation to the landowner. He cited examples of how the law has been abused by the heedless, the careless and the intentional scofflaws, who leave their traces — sometimes more than traces — far beyond the high-water mark. Including guides who trespass for profit. I conceded that I’d feel differently if I owned the land — and that it was hypocritical of me, in a way, to quarrel about it since I have long enjoyed special privileges on the stream where we sat and benefited from the very lack of access that I argued against. But I still professed my belief in the spirit of the law and said I thought it worked when both angler and landowner dealt in good faith. Bourdain threaded his way through our positions and then defused the dispute in typical fashion. The man has a tough job.